The European Commission (EC) has announced it is adopting challenging plans to reduce the number of road deaths on Europe’s roads by half in the next 10 years. The initiatives proposals range from setting higher standards for vehicle safety, to improving the training of road users, and increasing the enforcement of road rules in order to halve the overall number of road deaths in the European Union by 2020 starting from 2010. The European Commission has given the first public hints on what they are proposing to initiate through “a new focus on motorcyclists”, this focus is linked to the new proposed framework regulation for motorcycles, which seeks to regulate emissions and the safety of motorcycles. The reason that there is this new focus on motorcyclists appears to be, according to the EC, that while other vehicle transport modes have shown significant decreases in fatalities and serious injuries over time, those for PTW riders (motorcyclists) have exhibited a much lower decrease or have remained even static – between 2001 and 2008 4% compared to 35% for car occupants and drivers. 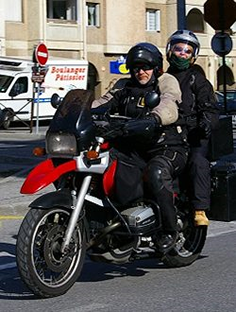 Riders of motorcyclists and mopeds have also been grouped with other vulnerable road users such as cyclists and pedestrians who according to the EC “have a high number of fatalities and serious injuries, in 2008 representing 45% of all road deaths and statistics which shows that they have not been given insufficient attention until now”. The EC makes noises about Motorcycle forums for discussion “permitting” riders to exchange views with the policy strategists and decision makers on their future needs and expectations. 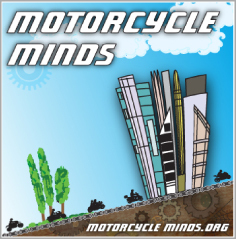 While giving the illusion of consulting with riders, organizations and the motorcycle industry, their agenda appears to be already set regarding motorcyclists and motorcycles. The question begs, what are the advantages of all this inclusion? Improving awareness of PTW riders by other road users. Encouraging research and technical developments aimed at increasing PTW’s safety and reducing the consequences of accidents. To develop technical standards on protective equipment such as clothing, and to study the feasibility of equipping motorcycles with an airbag and/or including the airbag in the protective clothing. The use of relevant ITS applications (e.g. eCall). Mandatory fitting of Advanced Brake Systems, mandatory Automatic Headlamp On and updated anti-tampering measures (so speed controls cannot be removed) for certain categories of PTWs, etc. Encouraging Member States to focus enforcement on speed, drink and driving, helmet use, tampering and riding without a proper PTW licence. Propose to extend to PTWs the existing EU legislation concerning roadworthiness testing. On-going efforts to better adapt road infrastructure to PTWs (e.g. safer guardrails) should also be continued. Inspite of the fact that motorcycle casualties have decreased throughout Europe, we don’t think that they’ve decrease enough, so we’ll bring in our big stick of legislation and here is what we are going to do to save you by using our rules and our regulations. The establishment of a structured and coherent cooperation framework which draws on best practices across the Member States, as a necessary condition to implement in an effective manner the road safety policy orientations 2011-2020. A strategy for injuries and first aid to address the urgent and growing need to reduce the number of road injuries. The improvement of the safety of vulnerable road users, in particular motorcyclists for whom accidents statistics are particularly worrying. Improve education and training of road users. Increase enforcement of road rules. Promote the use of modern technology to increase road safety. Improve emergency and post-injuries services. 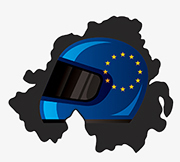 The text and documentation from the European Commission appears initially to have possible advantages for motorcyclists, which includes – Safer road infrastructure, Improve emergency and post-injuries services, Improve education and training of road users, specifically regarding car drivers. Right To Ride’s, Trevor Baird, says, “We have been in direct contact with the EC (DG Enterprise) regarding the framework regulations and were told that these would be presented in the Autumn. However it appears that the EC (DG MOVE responsible for Road Safety) have slipped in their proposals before any official announcement on the framework regulations, while the EU Parliament is in recess with the rest of Europe on holidays”.